DMV.com was created to help simplify your life by providing you with all the vehicle related information and Arizona DMV services you may need, in one place. Quickly find information and services regarding driving records, vehicle registration, drivers license renewal, license plate renewal, getting a learners permit, and finding a Arizona Department of Motor Vehicles approved traffic school. An MVD drivers license is required for residents to drive in Arizona. Obtain a drivers license from the Arizona MVD in a few easy steps. Order an Arizona driving record from the comfort of home. Requesting driving records online lets you avoid the long lines at the DMV. The Arizona MVD requires car owners to have auto insurance. Get AZ car insurance quotes online, and find low cost car insurance today. Take a defensive driving course approved by the Arizona MVD. Our traffic school course lets you dismiss a ticket or satisfy a court order. Take a DMV practice exam online to prepare for the Arizona driver license test. Passing a driver practice test will help you earn a license. 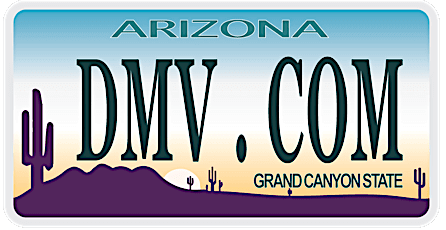 Find out how to get car registration documents from the Arizona MVD. Apply for an AZ car registration in a few easy steps. The Arizona DMV requires minors to take drivers education or supervised driving before getting a license. Learn the benefits of drivers ed in AZ. A car title bill of sale records the transfer of a car title. Learn how a bill of sale from the AZ MVD benefits car sellers and car buyers. Paying driving fines on time is necessary to avoid MVD fees and penalties. Learn how to pay a ticket online in Arizona quickly and easily. Getting a DUI is a serious offense. Learn more about DUI consequences and the DUI laws enforced by the Arizona MVD. Before buying a car in Arizona, review these helpful tips. Learn how to buy a car online, and understand AZ DMV requirements for new cars. Contact an Arizona DMV office near you. Find convenient DMV locations in AZ, and set up a DMV appointment today. We welcome you to our guide to the Arizona Division of Motor Vehicles. As a privately owned website we have nothing to do with any government agencies, so you don’t have to deal with government bureaucracy. All the Arizona DMV related information on DMV.com is always up-to-date and can be found very fast. The easy-to-understand format will make your article search very simple. Just enter the desired topic into the search bar at the top of the page, or use the navigation section you see below. Arizona Division of Motor Vehicles has different requirements for every type of vehicle, whether it is a car, a motorcycle or a boat. Our website provides you with accurate and detailed information for everything. From driver’s license and vehicle registration to auto insurance and ID issues, you name it – we have all about the Arizona Division of Motor Vehicles right here. We always encourage readers, and practically everyone to help us to make this site even better. Feel free to comment our pages and provide us with any relevant information. Also visit our Facebook fan page and comment there as well.